Estimates of natural background yields of TP from relatively undisturbed streams in the United States range up to 0.82 kg ha"1 year"1 (Clark et al. 2000). For the Caura, a blackwater tributary of the Orinoco River, the annual P yield was 0.46 kg ha"1 year"1. In the Apure, a moderately disturbed white water tributary of the Orinoco, the annual TP yield was 0.68 kg ha"1 year"1 (Lewis and Saunders 1990). Phosphorus export from agricultural catchments can be much higher. Beaulac and Reckhow (1982) estimated TP yields at 2 kg ha"1 year"1 for row crops, 1kg ha"1 year"1 for pastures, and 0.2 kg ha"1 year"1 for forest. These values are consistent with estimates up to 1.9 kg ha"1 year"1 for rivers of the Mississippi-Atchafalaya River Basin and between 0.7 and 1.1kg ha"1 year"1 in highly agricultural catchments in Illinois (Goolsby et al. 1999). In the Sandusky and Maumee rivers, two watersheds in Ohio that are greater than 75% agricultural area, P yields are near 1.4 kg ha"1 year"1 (Baker and Richards 2002). Effluent from wastewater treatment plants can be an important source of P in heavily populated area. In the Illinois River, 70% of P inputs are contributed by sewage discharge, resulting in total P yields of 1.1kg ha"1 year"1 (David and Gentry 2000). 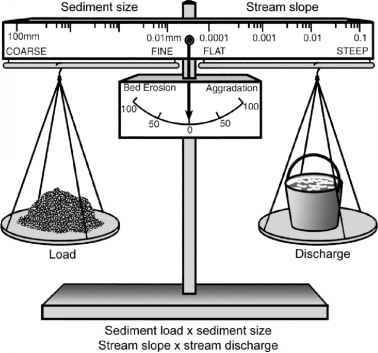 The mass balance relationship for P in river catchments is based upon inputs of fertilizers, manure, and sewage sludge applied to crop land, atmospheric deposition, and may include net import of food and feed (Baker and Richards 2002). Outputs are due to river export, and long-term storage can occur in soils. In comparison with N budgets, there is no biological fixation, atmospheric deposition is minor and often ignored, and there is no loss term analogous to denitrification. Natural weathering is difficult to determine, but may be small relative to other terms. From the perspective of river water concentrations and export, direct inputs from sewage treatment plants and surface runoff of animal waste can be a much larger contribution than is typical for N. For example, during periods of low flow, most P inputs to the Thame, a tributary of the Thames River in the United Kingdom, are from wastewater treatment plants and are delivered mostly as dissolved inorganic P. During high flows, diffuse sources represent 90% of the inputs and P is present mainly as particulate P in sediment runoff. On an annual basis, the outflow of wastewater treatment plants is important, contributing half of the TP load of the river (Cooper et al. 2002). Urban watersheds of course will receive more of their P inputs from waste water whereas agricultural watersheds are more affected by nonpoint inputs carried in runoff. In the Swale River in Northern England, 85% of river export of P originated in its lowlands due to both sewage and agricultural inputs (Bowes et al. 2003). In the subtropical Richmond River in Australia, fertilizer accounted for 65% of total inputs of P. Phosphorus yields from streams of the Mid-Atlantic Region of the United States declined with increasing forest cover in their catchments, which was attributed to the role of riparian forest in reducing sediment and nutrient inputs (Jones et al. 2001). The percentage of agricultural land and mean slope explained much of the variation in P concentrations among Finnish streams (Ekholm et al. 2000). In addition to the direct effect of nutrient addition via fertilizers, agricultural activity disturbs soils and this leads to increased erosion, especially on steep slopes, enhancing transport of P in particulate form. Erodibility may in fact be a better predictor of P delivery from terrestrial to aquatic ecosystems than agricultural land area. In streams of the Chesapeake Bay drainage, P concentrations correlated with streamwater sediment concentrations but not with land area in agriculture, suggesting that factors influencing sediment loss were of primary importance (Jordan et al. 1997). When budget calculations are made over an extended time period, it may be possible to detect not only long-term trends in inputs and outputs, but also infer changes in residence time as nutrients work their way through the catchment and into riverine export. Phosphorus inputs exceeded outputs for a number of catchments in Illinois for the years between 1965 and 1990, but were in balance thereafter, due to a reduction in fertilizer applications (David and Gentry 2000). However, P that accumulated in the soil during surplus years constitutes an important storage that must be gradually diminished before river exports can significantly decline, and as a consequence riverine exports may remain elevated for some time despite a reduction in inputs. In the Sandusky and Mau-mee Rivers, P concentrations and export have decreased over the period 1975-1995 even though inputs of P due to fertilizer continue to exceed its removal via crop harvest (Baker and Richards 2002). The likely explanation is that erosion control measures and changes in the timing of fertilizer application have been successful in reducing losses to the rivers, but P is accumulating in the soil compartment, and so remains a concern.